Just finished a 14 mile run. However the first thing I did before I ran this AM was my Headspace sports meditation. The biggest opponent is always inside and my crazy has a loud voice. I believe that meditation and yoga makes me more resilient as an athlete and entrepreneur. I feel like I’m on my way to being able to take on anything and later this year I’ll find out while I push equally hard to do an Ironman and raise money to grow and scale thinkspace. I’m starting to feel like I’m drawing power and energy from mediation + yoga and this isn’t “slowing down” or “self-care” but just another fuel source to ensure I can push harder, become even stronger, and increase my threshold. For those of you that mediate or practice yoga, how does it help you as an entrepreneur and/or athlete? 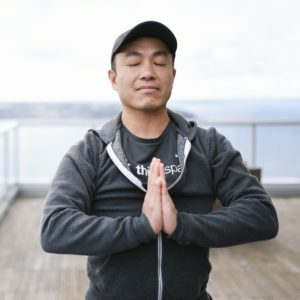 As we launch our Lake Union location we’re doing both meditation and yoga at work and training for an Ironman. Join us? 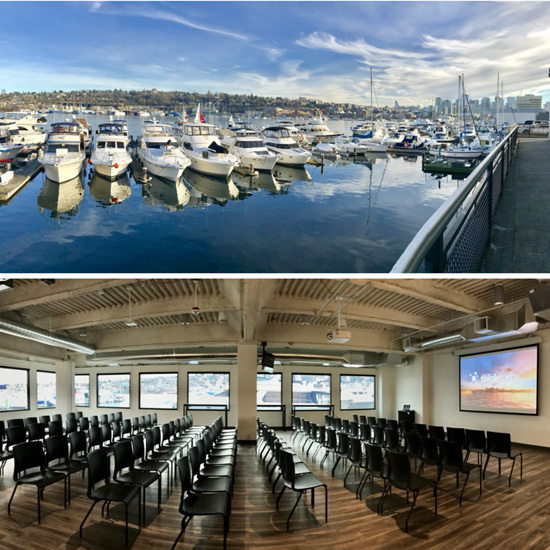 Beautiful event and meeting space on Lake Union! 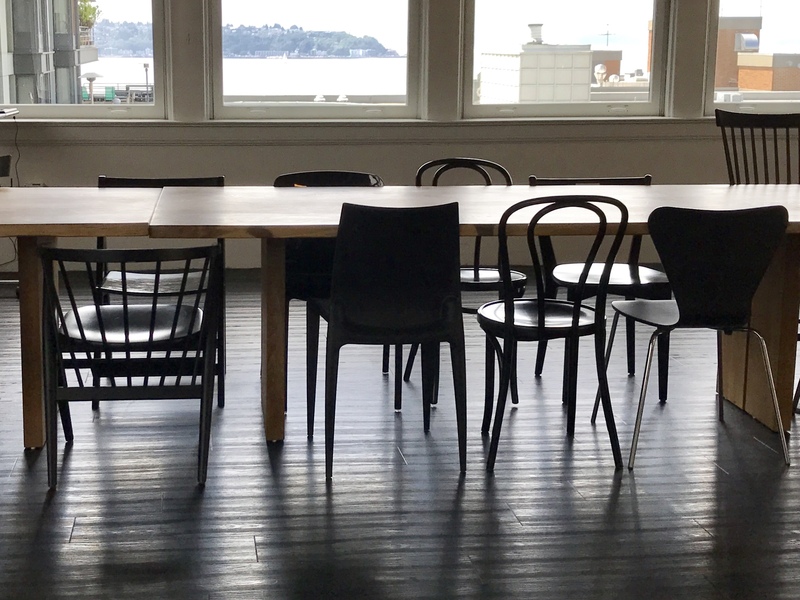 So excited to have our first floor venue space available for the world to enjoy! 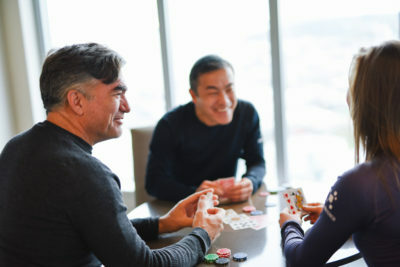 We can host events up to 120 people! Let us know if you want to use this space in February! https://thinkspace.com/wp-content/uploads/2013/11/website-thinkspace-logo-teal-155x69.png 0 0 Peter Chee https://thinkspace.com/wp-content/uploads/2013/11/website-thinkspace-logo-teal-155x69.png Peter Chee2018-02-05 12:24:122018-02-05 12:24:12Beautiful event and meeting space on Lake Union! Intense! Today I put on a Katalyst Suit, a compression textile with embedded electrodes that provides EMS (electromagnet shock) to 80% of the core muscle groups. It was set to a threshold level that felt like I was at mile 22 of full marathon. I was told that my 20 minute workout was equivalent to 90 minutes in the gym while not actually lifting any heavy weights, in fact, all I was holding was two small white towels. My abs, quads, and calves were on fire from doing this. Its going to be really interesting to see how my muscles feel tomorrow! We’re looking at bringing this Katalyst Suit to our new thinkspace Lake Union location. I’m curious if you would consider giving something like this a try? Work is always better when you do it with someone who will challenge you to be your best and teach you something new. Know of a company or individual who would fit in to a space like this? Send them our way! For every company that you refer that signs up for an office with Thinkspace we will send you a $100 Amazon gift card! It’s a win-win. 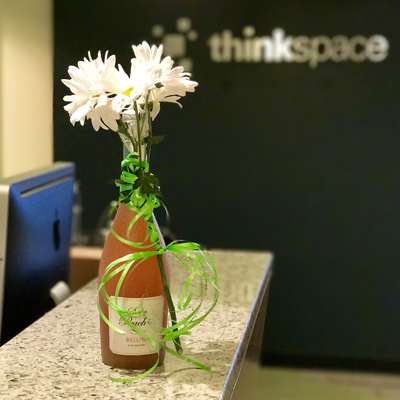 Open Letter to Myself as Thinkspace Turns 9! Nine years ago today on May 1, 2008, I started Thinkspace. As I reflect back on my nine-year journey of running thinkspace, there are things that I wish I knew then that I know now. So I’m about to step back and look at some of the mistakes made it feels a little bit painful and embarrassing kind of like watching a recording of yourself on video. It’s uncomfortable, but, in a healthy way. I wrote this open letter to myself from the perspective of Old Me sharing with Young Me what to look out for, and thought I would share it with you too. https://thinkspace.com/wp-content/uploads/2013/11/website-thinkspace-logo-teal-155x69.png 0 0 Peter Chee https://thinkspace.com/wp-content/uploads/2013/11/website-thinkspace-logo-teal-155x69.png Peter Chee2017-05-01 21:39:472017-05-01 21:40:19Open Letter to Myself as Thinkspace Turns 9!